Social networking platforms have become the primary go-to for a job search among graduates in the UAE, the survey reveals. LinkedIn and Bayt.com remain by far the most popular job hunt websites. Reasonably, more than 75 per cent of the respondents also believe that their personal social media and digital footprint does have an impact on their future job hunt. The survey investigates into the job search trends among fresh graduates in the UAE. It was conducted during the recently held Careers UAE 2016, and consists primarily of Emirati graduates aged between 20-35 years. The survey shows that the job seekers are most likely to research the interview panel online prior to their interview. More than 60 per cent of respondents said they would, apart from also looking up the company website, also look up recent stories on Google before an interview. Speaking on the survey results, Abbas Ali, vice-president of TASC Outsourcing, said: "The survey gives a good insight into the impact of social media on young adults today. We found that more than 75 per cent of the respondents are active on social media platforms on a daily basis, which also influences their job search. 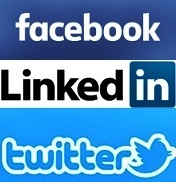 More than 80 per cent of fresh graduates today use social networking platforms as the primary source to find a job. It is an interesting insight, especially for employers to find the skilled talent they are seeking." Several recruitment experts in the region have continued to highlight the importance of visibility on social media sites such as Facebook and Twitter, especially when it comes to fresh graduates looking for a job. They stress that students close to graduation should establish their presence as a professional on the social media accounts that they use the most. One simple way of starting is by filling out the 'Work and Education' part of their Facebook profile. If left blank, experts note that it suggests that a graduate is not proud of their accomplishments. It is also vital to let your network of Facebook friends know what you're looking to do professionally. In addition, jobseekers need to know what's going on in their industry and at the companies they'd like to work at.